It’s almost back to school time which means little man needs a new lunch box so I picked this up for him! 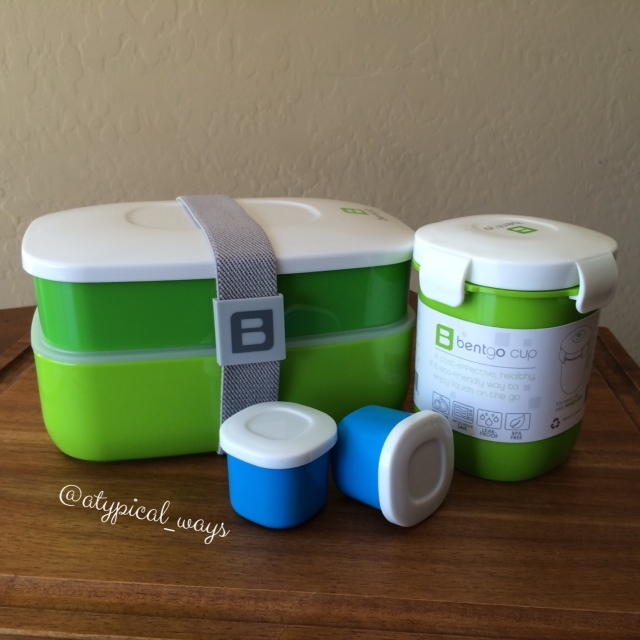 It includes two stackable containers with lids and section dividers, built-in plastic silverware, and a secure strap for when it’s in his backpack ($14.99). I also got the 12oz leak proof cup ($7.99) and 2 mini containers ($5.99). All of them are made out of food-safe BPA-free plastic, are durable, reusable, healthy, microwave/dishwasher safe and eco-friendly. Plus they come with a 2 Year Warranty! Stay tuned for some inside pictures when I start packing his lunch! « Quick, Simple and lower calorie Chicken Florentine Pizza!